LILONGWE, Dec 12 2013 (IPS) - Delays in finalising Malawi’s climate change policy, which has been in the making for the last three years, are affecting millions of families living in disaster-prone areas across this southern African nation, says the country’s minister of environment and climate change management Halima Daudi. Daudi, who led the Malawian delegation to COP19 in Warsaw last month, tells IPS that the delay in drafting and making the policy operational comes at a cost to many of Malawi’s vulnerable. “For example there is the GCF [Green Climate Finance] which needs us to come up with a governing instrument by establishing an authority designated to be the focal point to handle the funds and we cannot access that without a national policy on climate change,” she says. For the last three years, the Malawian government, with the help of United Nations agencies, has been working on the National Climate Change Policy, a National Climate Change Investment Plan and a National Adaptation Plan to address medium- to long-term adaptation needs for Malawi. Daudi agrees. “It’s very difficult for us to access such funds for adaptation and mitigation, which in the end increases the vulnerability of so many families to [the impact of] climate change,” she says. But Dora Marema, coordinator for GenderCC, a network of women and gender activists working for gender and climate justice, says that the delays in implementing the national climate policies in several African countries, including Malawi, is affecting hundreds of thousands of people reeling from the effects of climate change. “It’s true that most countries are failing to access funds for adaptation because their policies are not in place and the impact is on the most vulnerable, especially women trying to recover from disasters associated with climate change,” Marema tells IPS. 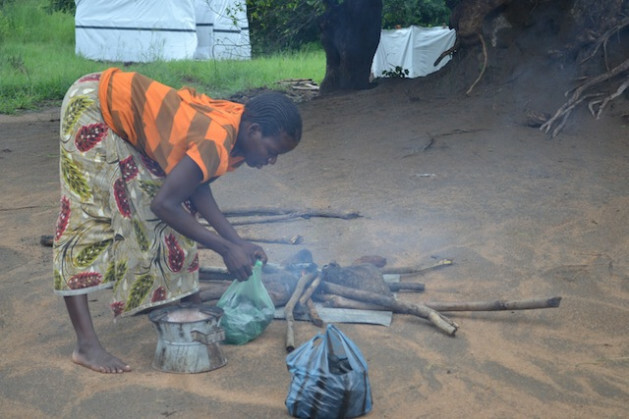 And the longer it takes to implement Malawi’s climate change policy, the longer it will be before Agnes Katete and her family get back on their feet. In March, a mountain of water came gushing through the only door in Katete’s dingy shack in the wee hours of the morning. The water swept away her house and 10 others in Kilipula Village in the lakeshore district of Karonga, which lies 600 km from the capital Lilongwe. Katete, a mother of four, was lucky. She managed to escape unhurt with her children. But like many others in her village, she lost her rice fields. And now, nine months after they lost everything; they are still unable to pull through. Katete and many others from her village are still living in make shift homes set up by government and U.N. agencies, surviving on food handouts. “I don’t know what’s going to happen to me and my children because another rainy season has started and I still don’t have a house. I lost all my income and I have no food,” she tells IPS. Over the last five years, persistent droughts, flash floods and erratic rainfall show how vulnerable the country has become. This year alone, according to the department for disaster affairs, floods have affected close to 12,877 households and wiped out entire crop fields mainly in the northern and southern parts of the country. In March 2012, flooding caused by two weeks of torrential rains destroyed thousands of homes in eight districts, leaving an estimated 300,000 people destitute, eight people dead and several missing. The largest impact of climate change could be on Malawi’s agriculture sector, which is heavily dependent on rain-fed cultivation. The country has three million hectares of arable land. Evans Njewa, an environmental policy and planning officer, tells IPS that one of the adaptation methods that Malawi plans to promote and create awareness on is traditional soil conservation. He explains that conservation agriculture, which involves reduced tillage, permanent soil cover and crop rotation, can help adapt to climate change effects because it potentially increases productivity through better soils and helps farmers adapt to climate change through better water retention.